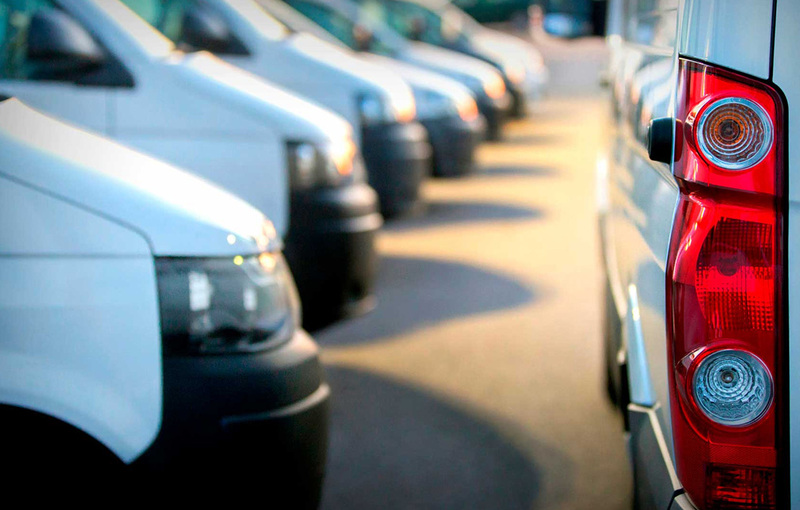 Commercial Auto Insurance provides liability and damage protection for any vehicle used to conduct business. But we’re not talking about the car you use to drive to and from work. Commercial Auto Insurance goes beyond what a personal auto policy covers. Since commercial vehicles are prone to higher liability issues and more risk, a separate policy is required for them. It not only covers business vehicles such as cars, vans and larger commercial trucks, including box trucks, food trucks and service utility trucks, but also the employees operating the vehicles and the equipment the vehicles are carrying. As you can see, basically any type of vehicle that you may use to conduct your business requires Commercial Auto Insurance. If you’re still unsure if you need this type of policy, a Colstan and Associates agent will be happy to assist you. What Does Commercial Auto Insurance Coverage? What Are its Limits? Just like your Personal Auto Insurance, a Commercial Auto policy provides coverage for liability, collision, personal injury, comprehensive and coverage for uninsured motorists. But additional add-ons may be needed that will include coverage for your: additional employees or other people your business is doing work for; equipment and goods, including loading and unloading; and business, which will protect your assets against any lawsuits. Most commercial auto insurers provide coverage for commercial automobiles that ranges from very narrow to very broad. They use the standard ISO Business Auto Policy, which uses numbers 1-9 to designate what type of autos are covered. Your auto policy contains numeric symbols. These are important because they determine which of your autos qualify as covered and only covered autos are insured under your policy. Note that symbol 1 has the broadest coverage while symbols 8 and 9 are the narrowest. You will find an explanation of the meaning of each symbol in the section of your policy that usually appears on page 1 of the Business Auto Coverage Form. In contrast to personal auto policies, where there are separate limits for bodily injury and property damage liability (split limits), commercial auto policies usually have a combined single limit (CSL). CSL generates limits that are higher for both bodily injury and property damage coverages, which also includes per occurrence limits. An Umbrella policy may be purchased to cover a commercial auto policy to provide higher limits but the most common commercial auto CSLs for small businesses are usually $500,000 to $1,000,000. Remember, New York State’s liability insurance requirements must be met. As a business owner, you cannot afford to have the state minimum limits because of the liability. It important to speak to an agent to determine the best limits for your business. If you don’t own the vehicles used in your business, you may be required to obtain comprehensive and collision coverage by your financial institution. Uninsured/Underinsured Motorists Coverage: Protection for accidents involving a driver with no or limited insurance. Personal Injury Protection and Medical Payments: This coverage will help with medical expenses in the event you or your passenger(s) are in an accident. Emergency Roadside Assistance Program Insurance: Provides services such as towing, tire changes, locksmith, etc. Personal Property Coverage Effects Insurance: This covers (usually up to a certain amount) theft of personal belongings of you or an employee. For more information on these and other additional coverages, or for general information on Commercial Auto Insurance, contact Colstan and Associates.